If you have read my writings long enough, you know my love affair with pound cakes. 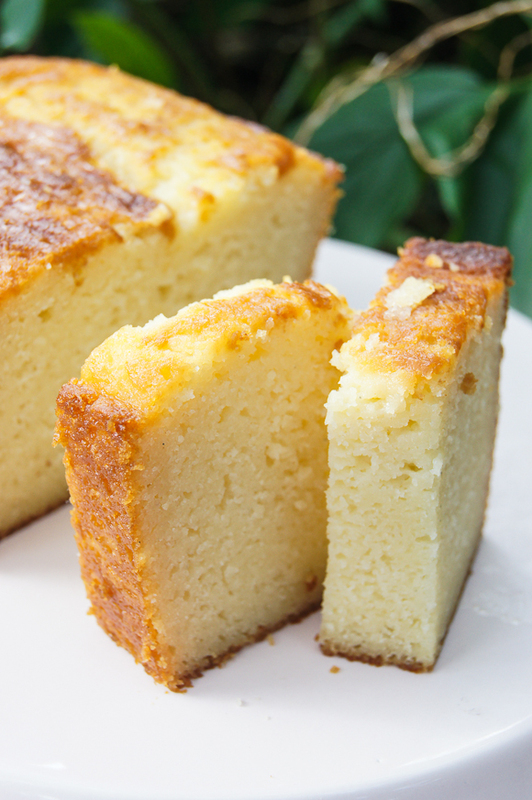 Out of all the cakes – and believe me, I had my share of different types of cakes in my lifetime – the simple pound cakes grabs me every single time. Hands down. My wedding cake was a pound cake. Which was soaked in rum and filled… oh, wait were was I.. oh, yeah – sorry. But, like any baker (or cook) knows, we are always (and I truly mean ALWAYS) looking for the next best recipe of our favorite thing. What can I say… we are a crazy bunch. I think, I have found something better than my favorite pound cake. It’s sweet, but not too sweet, hints of vanilla flavor all over it, moist (ohhhh soooo very moist), easy to make, less than 15 minutes putting it together and 60 minutes baking time. It’s good warm, cold and every temperature in between. Yummy with all sorts of toppings - fruits, cream, ice cream and whatever you may think of. But alone, it’s simply, a little bite of heaven. You have today to make this and fall in love. Trust me. If I’m wrong, I dare you to come back and yell at me via comments. In a medium bowl, add flour, baking powder, and salt and set aside. In an electric mixer fitted with the paddle attachment, cream together butter, ricotta, and sugar on medium speed until smooth and light, about 2 minutes. Beat in eggs, one at a time, it may look curled at this point, don’t worry about it, it will adjust once you add the dry ingredients. If using the vanilla bean - split it lengthwise and scrape out seeds with blunt side of a small knife, then beat them into batter along with vanilla extract. On low speed*, beat in dry ingredients to combine them, scrape down sides of the bowl, and beat batter for 30 seconds on medium speed. *You can also at this point fold the dry ingredients with a spatula into the batter.